It's our Christmas in July Sale! Take a look at our most recent ad or stop in and take advantage of our great pricing on many items now through July 30th! Hope to see you soon! 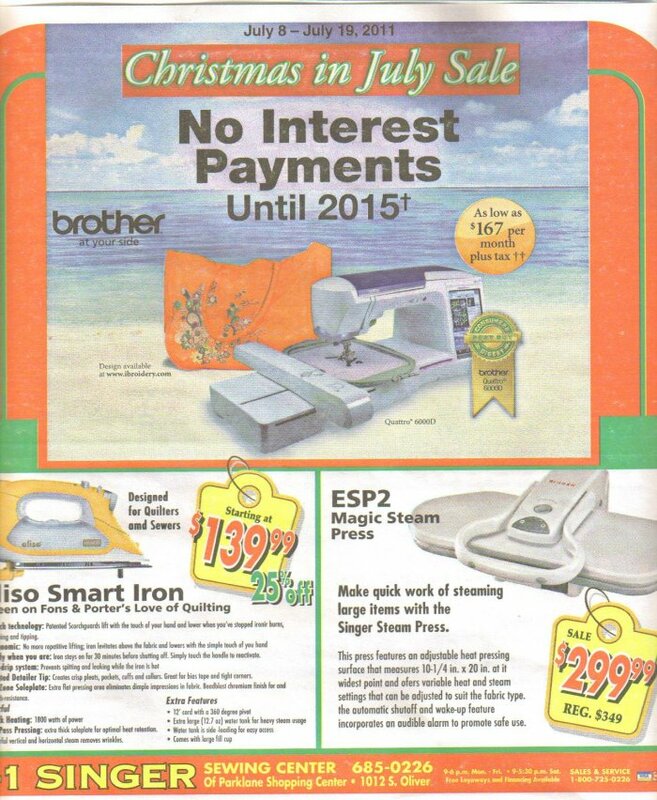 A-1 Singer Sewing Center is the exclusive dealer of Brother sewing machines and Horn Sewing Cabinets in the Wichita area. 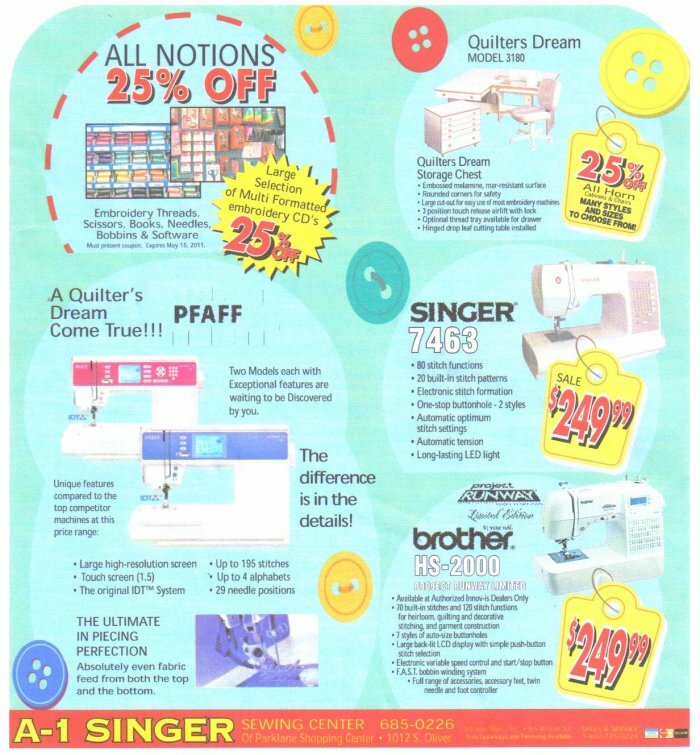 Whether you’re looking to purchase a sewing machine or searching for notions and supplies, A-1 Singer Sewing Center can meet all of your sewing needs.